Five months after their daughter’s death, the Cantrell family of St. Charles says a letter they received this week from American Airlines refusing to refund a ticket in her name left them stunned. Madison "Scout" Cantrell was a sunny, athletic fourth-grader who lit up the room with her smile, her family says. When she died suddenly of an asthma attack that led to cardiac arrest last fall, every part of the family’s life was impacted. A long-planned spring break trip to a family favorite beach in North Carolina was canceled after their 13-year old daughter Katie said the trip just wouldn’t be bearable. "Emotionally, I couldn’t go back there this year without her," Katie Cantrell said. "It would never be as much fun without her." But the family said they ran into an unexpected obstacle in changing their plans: American Airlines refused to refund Scout’s ticket. 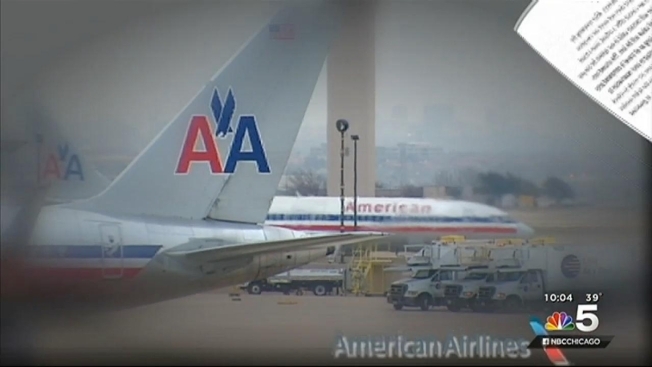 The ticket was non-refundable, and the airline said it could not "offer a refund, issue a travel voucher, or transfer this ticket to another person," language that appears to directly contradict the refund policy posted on the American Airlines website. Felicity Cantrell received hundreds of comments after she shared her story on Facebook, but said the only response she received from the company was on Twitter. "This is not about the money,” Felicity Cantrell said. "Clearly, this has struck a chord with people… We can’t be the only family this has happened to." It’s a financial loss the family said they can handle, but a corporate decision Scout’s eighth-grade sister said she cannot. "I know that I would never write this to someone. I don't know how someone could send this to another family," Katie said. "I would never want to be treated that way and I would hope no one would ever treat anyone else that way." Late Tuesday afternoon, the airline said the situation had not been handled as sensitively as it should have been, and that Scout’s ticket had been refunded. "We extend our deepest sympathies to the Cantrell family on the loss of their daughter, Madison," an American Airlines spokesperson told NBC 5 Investigates. "We fully refunded Madison’s ticket last night and apologized to Mrs. Cantrell for not doing so immediately when she first contacted us." As of Wednesday afternoon, the Cantrells said no refund had been issued, contrary to what the airline had stated to both NBC 5 INVESTIGATES and via social media. On behalf of American Airlines, please accept our sincere condolences. After reviewing the documentation submitted, it has been determined the request does not meet our exception requirements. The ticket purchased is non-refundable so we cannot offer a refund, issue a travel voucher, or transfer this ticket to another person. The ticket will remain valid in our system for one year from the original date of issue, at which time it will expire and all value will be lost. The unused non-refundable ticket may be applied to future travel within that year as long as all travel is completed prior to the expiration date. As a one-time courtesy, authorization was documented in your reservation to waive the change fee assessed when a non-refundable ticket is changed. When you are ready to rebook your travel, just call our Reservations Center at 1-800-433-7300 and refer the agent to the ticket number mentioned above. Your new ticket will be subject to any additional collection, if necessary, as governed by the applicable fares and fare rules in effect at that time.